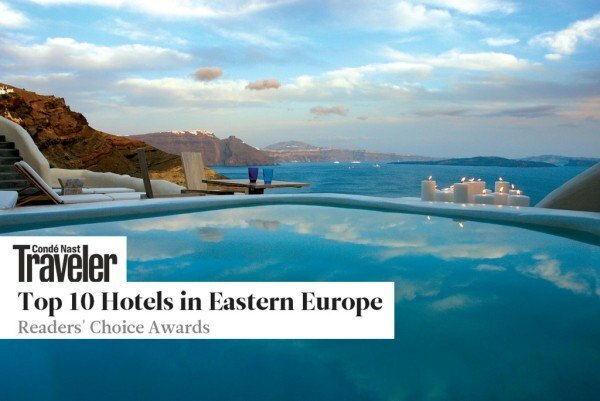 Santorini’s Mystique, A Luxury Collection Hotel, is placed #7 as a top rated hotel in Eastern Europe in the prestigious Condé Nast Traveler 2013 Readers’ Choice Awards. Well traveled and savvy, yet intractable romantic, Mystique’s loyal clientele recognize it among top 10 hotels in Eastern Europe for more than one reasons: Mystique, perched on the steep caldera cliff in Oia village, is world-renowned among newlyweds and aesthetic lovers for its whitewashed curves and classic Santorinian architecture while it masterfully combines elegance, tradition, luxury service, relaxation and Santorini’s legendary sunsets. 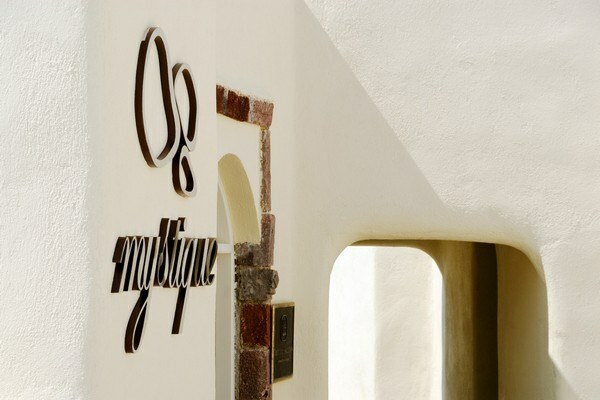 Condé Nast Traveler readers agree that Mystique is a very special place providing an extraordinary Santorini experience, balance of luxury amenities, personalized service, exquisite cuisine and natural beauty – all with an emphasis on local flavor and regional culture. 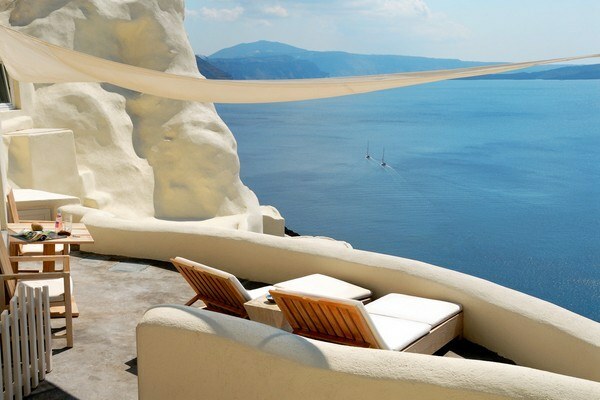 What a year it has been for Santorini, as well! The island has been enjoying one of its best ever years, with an estimated 20 per cent increase in visitors compared with 2012. No surprise that Santorini, the fairy of the Aegean garnered first place in The Readers’ Choice Awards’ Top 10 Islands in Europe list and ranks among the Top 25 Islands in the World. Condé Nast Traveler’s 26th annual Readers’ Choice Awards ranked the best cities, islands, cruise lines, airlines, hotels, and resorts in the world. This year, a record-breaking 79,268 readers participated in the survey, almost double the number of survey takers in 2012. These dedicated and discerning travelers cast 1.3 million votes for more than 16,000 properties around the world. The Readers’ Choice Awards are announced in the November issue of Condé Nast Traveler, on newsstands and online October 15. For the complete list of 2013 Readers’ Choice Awards, visit www.cntraveler.com/RCA Heartfelt thanks to our devoted guests and well-travelled CNT readers!